I wanted to start 2019 off with a big dose of inspiration, so today I’m beginning a new series I’ve been secretly working on for a few months, the Lotus and the Pen, where I interview fellow writers who meditate. One of my favorite things to do is ask writers how they approach their craft and process, and I’m curious to see, for those who meditate, how the practice plays a role in their lives as artists. I’ll be asking all the writers the same questions, then sitting back and letting all of us bask in the warmth of their wisdom. 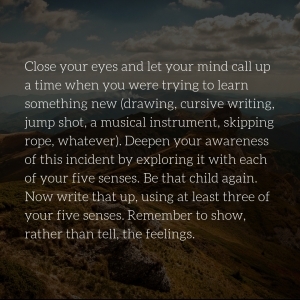 I wanted to inaugurate this journey with children’s author and WCYA faculty member Mary Quattlebaum, who was really the first writing teacher I encountered who actively used meditation as a teaching tool to help students dive deeper into their sensory imagination in order to enrich their craft. I’m sure those of you who’ve worked with Mary as an advisor or, as I did, in a residency workshop, have been asked to close your eyes once or twice. One big takeaway I had from this enlightening conversation with Mary was that she believes, as I do, in practicing meditation for the sake of meditation. Yes, it may have fringe benefits on your creative life, but the gifts of the practice—how it wakes you up to yourself and the world around you—is reason enough. 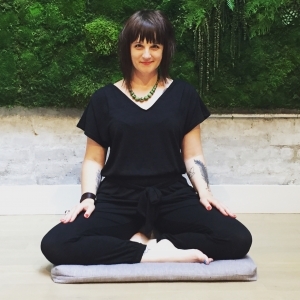 To find out more how to begin your own practice and enter 2019 with some of this mind magic, you can check out this post on first draft meditation practice. How long have you been meditating and what kind of meditation do you do? As for what kind of meditation… Vipassana, primarily, though I also do meditations focused on sound, voice, and movement. I try to meditate in a device-free space so I tend to eschew apps or recorded meditations. What effect do you think meditation and/or mindfulness has on your creative life? I feel more centered and aware and able to sink both more deeply and more quickly into the relaxed, alert mind state that helps facilitate creativity and flow. But I also want to mention that I try to experience meditation as a deeply engaging activity in and of itself rather than as a means to a certain end (becoming a better novelist, say). Has there been a time when you have called upon your meditation or mindfulness work to help you with some of the downs of the artistic life, be it a creative block, a rejection letter, a bad review, etc.? Yes, indeed! I first began meditating as a way to manage depression and anxiety. The writer’s life—well, anyone’s life—is full of ups and downs and joys and disappointments that we navigate as best we can while recognizing the feelings and needs of our fellow beings. Walking with mindfulness, especially with our dogs, has always been my go-to, when life gets intense. They are so alive in the moment, so eager to run and sniff and take in the world, and their example helps me feel more centered in the body and moment. Plus, they are fun and goofy! My family now has an elderly border collie, who is calm and gracious and a joy to be with. Let’s talk craft: you may or may not have thought about this before, but do you think that there are ways in which your practice on the cushion, as we say, has helped you in your actual writing on the page? That’s a good question but just for myself, I try to avoid thinking too much about cause/effect in terms of one particular area of life but appreciate the beneficial rippling effect of a regular meditative practice. Sort of like not wanting to privilege one species in an ecosystem. In another way, meditation has probably worked against the “career” aspects of being a writer in that I find social media very distracting and tend to avoid it. Do you have any go-to creative or writing activities that are related to meditation, visualization, etc.? We’d love to try them out for ourselves! What are ways you’ve brought meditation into your process? For example, do you meditate before you write? I try to meditate first thing in the morning, about 30 minutes. And when I sit down at computer or with pen/paper, I try to take several calming, centering breaths. In addition to your actual meditation, what other activities related to this practice do you engage in? For example, do you incorporate mindfulness tasks such as mindfully doing housework like one might do at a meditation retreat or do you read Buddhist or other “dharma” books that tease out some of meditation’s lessons on things like accepting impermanence or working on our relationship to craving? For me, it can be very pleasurable to be mindful when doing certain things (walking the dog, gardening, housework, even being in that delicious feeling of lassitude before falling asleep). One of my favorite guides is Chop Wood, Carry Water: A Guide to Finding Spiritual Fulfillment in Everyday Life. What kind of instruction do you get in meditation? For example, do you go on retreats, listen to an app, have a teacher you work with…? Years ago, I took several meditation/writing workshops with two poets who were body-oriented psychotherapists. They helped shift me from privileging the head/intellect/will in writing to experiencing writing as emerging from a deeper, more integrated space within the self and the world. The workshops were body-centered, sound-focused, playful, non-linear, surprising, challenging, and restorative. I am so grateful for the instructors’ approach and this transformative experience. I also co-taught several similar workshops with a poet friend who is a body psychotherapist. But please note, this approach is quite different from the lecture/workshop model in the academic world—and those interested will want to seek out trained instructors. Do you have any go-to books or other resources that you recommend writers who are interested in these practices check out? For the curious, no matter their work or lifestyle, I recommend Dan Harris’s two books 10% Happier and Meditation for Fidgety Skeptics. They present research into and explore excuses related to meditation in a down-to-earth, good-humored manner, free of dogma or mystical lingo. Those interested, be they business executive, wait staff, artist/writer, teenager, or teacher—may find the meditation that best suits them from the many offered in the second book. The first book is more of a memoir of how Harris, a news reporter, found/benefits from meditation and surveys the scientific/medical/psychological research on the topic. I also love to hear about other people’s practices and helpful resources. 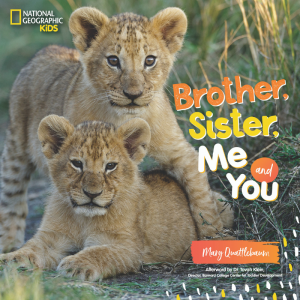 Mary Quattlebaum is the author of 26 award-winning children’s books, including picture books and nonfiction that feature animals or ecosystems, and of stories and poems in anthologies and children’s magazines (Spider, Cricket, Ladybug, Highlights). Titles include Mighty Mole and Super Soil, Jo MacDonald Saw a Pond, Hero Dogs: True Stories of Amazing Animal Heroes, and most recently Brother, Sister, Me and You (about animal siblings). Mary teaches in the MFA program in writing for children and young adults at the Vermont College of Fine Arts, reviews children’s books for the Washington Post and Washington Parent, and speaks frequently at schools and conferences. She grew up in the country in Virginia, surrounded by wild and companion animals. She now lives in Washington, DC, with her family and an elderly border collie, and tends a small backyard habitat that attracts pollinators, rabbits, birds, earthworms, squirrels, and even an opossum. Visit www.maryquattlebaum.com. Heather Demetrios (’14) is a young adult author, writing coach, and meditation teacher for writers. She’s the recipient of the Susan P. Bloom PEN New England Award and the author of several critically acclaimed novels, including Bad Romance, I’ll Meet You There, and Exquisite Captive. She’s the editor of Dear Heartbreak: YA Authors and Teens on the Dark Side of Love, which features several VCFA faculty and alumni, and the author of Codename Badass, an upcoming feminist pop biography of WWII spy, Virginia Hall. New fantasy, contemporary, and historical novels are also forthcoming from Macmillan. 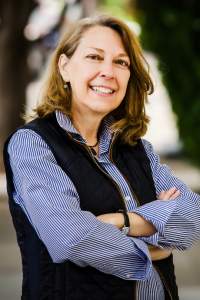 Her honors include books that have been named Bank Street Best Children’s Books, YALSA Best Fiction For Young Adults selections, a Goodreads Choice Nominee, a Kirkus Best Book, and a Barnes and Noble Best Book. She lives abroad in various locales, but you can always find her at mindfulnessforwriters.com. Find out more about Heather and her books at heatherdemetrios.com.